What is Corner Inlet Connections? Corner Inlet Connections is a partnership between government agencies, landowners and the community. The partnership is committed to maintaining and improving the environmental, agricultural and economic sustainability of the inlet and its surrounds. Our Landholders do some great works! 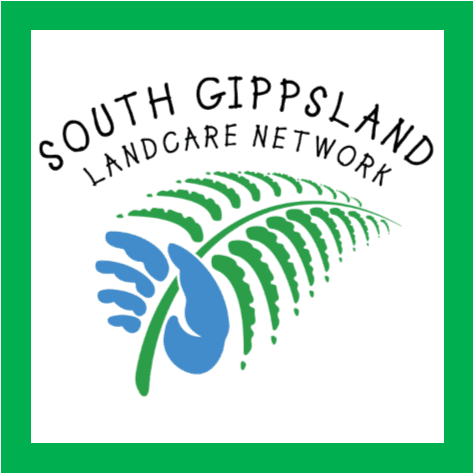 Landcare Grant and Training EOI form and the SGLN small grant (50 trees) project. Our EOI form is available for landholders to fill in an application for training or funding. When funding and training opportunities arise we will contact you. Filling in an EOI form is an expression of interest only and does not guarantee funding support. SGLN welcomes new landholder members (and existing SGLN members with a small project idea) with the opportunity to plant 50 trees. The trees will be ordered for you an available in autumn 2018 after the autumn break. This project is supported through funding from the West Gippsland Catchment Management Authority. Contact us on 5662 5759 with any questions. What sort of project are you proposing? Submitting this form is an expression of interest only and does not guarantee funding support. We will keep your application on file and contact you when a course/grant/opportunity as requested becomes available. Activities that are a condition of a planning permit or where the activity is the legal responsibility of the landholder will not be supported. Guidelines for revegetation can be provided on request. Revegetation plantings must consist of indigenous species. Funding will not be granted retrospectively. Fencing must be stock proof. Successful projects must enter into a management agreement. The ongoing maintenance of the project is the responsibility of the applicant/landholder. Landholder must allow access to project site upon request. The information you submit via this application form and any associated correspondence is collected, stored and maintained for the purpose of supporting your Landcare project or application for training. This information may be disclosed to other relevant government or non-government organisations or other people or businesses associated with the project/training you have applied for. This could include plant nurseries or training providers, for example. We also reserve the right to use non-identifying information for the purposes of reporting, publicity and social media. This could take the nature of '10 hectare re-vegetation project in Leongatha' for example with a photo of the site.